Junior and I aren’t big on seafood, but Junior Too and Senior enjoy “stuff from the sea,” so I try to include one seafood dish in each menu planning session. 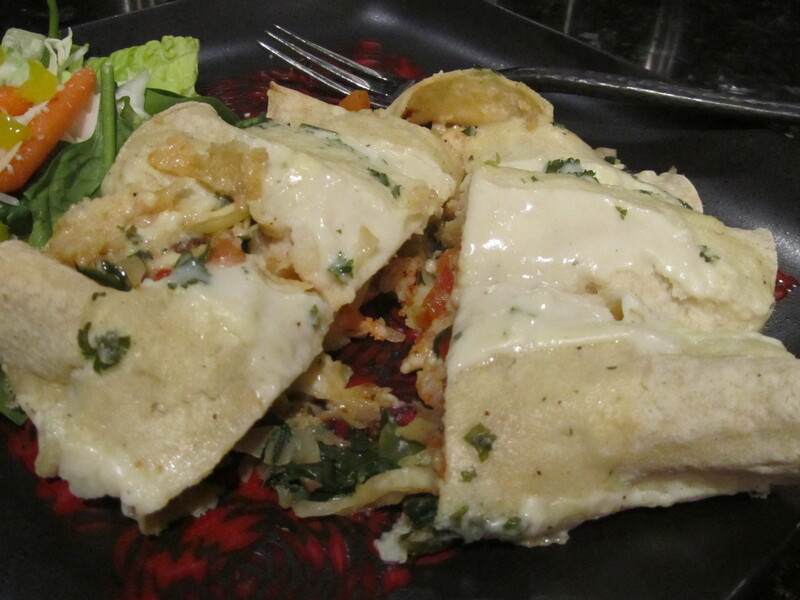 These enchiladas were moist and tasty–well worth the number of ingredients required to put them on the table. I like sweet and sour chicken. Unfortunately, the fat calories really like me too. When I came across a lower-fat recipe, I decided to give it a try. It required tweaking–less sugar, pass on the garlic, and a bit more soy sauce–but it came out yum. Senior, Junior, and Junior Too agreed. This is a keeper. 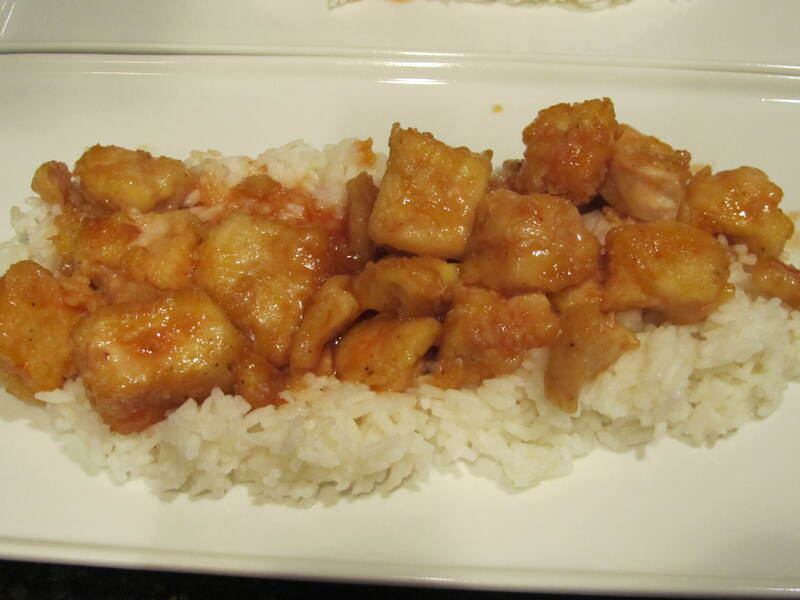 6) Place chicken in a greased 9×13 baking dish and pour sweet and sour sauce over it; bake 45 minutes, gently stirring chicken every 15 minutes; serve (over cooked rice, if you like) and enjoy!